Manufacturers like to try to make things easy for you when you're shopping for a digital camera, especially by highlighting certain measurements of their models, such as large megapixel amounts and big LCD screen sizes. However, such numbers don't always tell the entire story, especially when looking at zoom lenses on a digital camera. Manufacturers measure zoom capabilities of digital cameras in two configurations: optical zoom or digital zoom. It's important to understand the zoom lens because the two types of zooms are vastly different from each other. In the battle of optical zoom vs. digital zoom, only one — optical zoom — is consistently useful for photographers. With most digital cameras, the zoom lens moves outward when in use, extending from the camera body. Some digital cameras, however, create the zoom while adjusting the lens only within the camera body. Continue reading to find more information that can help you understand camera zoom lenses better and that can help you put an end to the debate of optical zoom versus digital zoom! Optical zoom measures the actual increase in the focal length of the lens. Focal length is the distance between the center of the lens and the image sensor. By moving the lens farther from the image sensor inside the camera body, the zoom increases because a smaller portion of the scene strikes the image sensor, resulting in magnification. When using optical zoom, some digital cameras will have a smooth zoom, meaning you can stop at any point along the entire length of the zoom for a partial zoom. Some digital cameras will use distinctive stops along the length of the zoom, usually limiting you to between four and seven partial zoom positions. The digital zoom measurement on a digital camera, to put it bluntly, is worthless under most shooting circumstances. Digital zoom is a technology where the camera shoots the photo and then crops and magnifies it to create an artificial close-up photo. This process requires magnifying or removing individual pixels, which can cause image quality degradation. Most of the time you can perform functions equal to a digital zoom with photo-editing software on your computer after you shoot the photo. If you don't have time for or access to editing software, you can use digital zoom to shoot at a high resolution and then create an artificial close-up by removing pixels and cropping the photo down to a lower resolution that still meets your printing needs. Obviously, the usefulness of digital zoom is limited to certain circumstances. When looking at specifications for a digital camera, both the optical and digital zoom measurements are listed as a number and an "X," such as 3X or 10X. A larger number signifies a stronger magnification capability. Keep in mind that not every camera's "10X" optical zoom measurement is the same. Manufacturers measure the optical zoom from one extreme of the lens' capabilities to the other. In other words, the "multiplier" is the difference between the smallest and largest focal length measurements of the lens. For example, if a 10X optical zoom lens on a digital camera has a minimum focal length of 35mm, the camera would have a 350mm maximum focal length. However, if the digital camera offers some additional wide-angle capabilities and has a minimum 28mm equivalency, then the 10X optical zoom would only have a maximum focal length of 280mm. The focal length should be listed in the camera's specifications, usually in a format similar to "35mm film equivalent: 28mm-280mm.” In most cases, a 50mm lens measurement is considered as "normal," with no magnification and no wide-angle capability. When you're trying to compare the overall zoom range of a particular lens, it's vital that you compare the 35mm film equivalent number from lens to lens. Some manufacturers will publish the exact focal length range alongside the 35mm equivalent number, so it can be a little confusing if you aren't looking at the right number. Digital cameras aimed at beginners and intermediate users typically only offer a built-in lens. Most digital SLR (DSLR) cameras, however, can make use of interchangeable lenses. 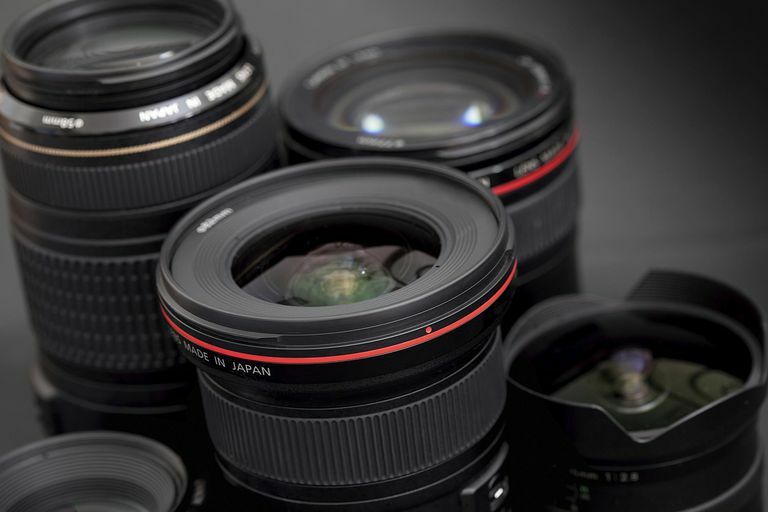 With a DSLR, if your first lens doesn't have the wide-angle or zoom capabilities that you want, you can purchase additional lenses that provide more zoom or better wide-angle options. DSLR cameras are more expensive than the point-and-shoot models, and they're usually aimed at intermediate or advanced photographers. Most DSLR lenses will not include an "X" number for a zoom measurement. Instead, the focal length will only be listed, often as part of the name of the DSLR lens. DIL (digital interchangeable lens) cameras, which are mirrorless interchangeable lens cameras (ILC), also use lenses that are listed by their focal length, rather than an X zoom number. With an interchangeable lens camera, you can calculate the optical zoom measurement yourself by using a simple mathematical formula. Take the maximum focal length that the interchangeable zoom lens can achieve, say 300mm, and divide it by the minimum focal length, say 50mm. In this example, the equivalent optical zoom measurement would be 6X. Although choosing a point-and-shoot camera with a large optical zoom lens is desirable for many photographers, it sometimes presents a few minor drawbacks. Noise: Some beginner-level, inexpensive cameras suffer from lower image quality because of noise when the lens is extended to the maximum zoom capability. Digital camera noise is a set of stray pixels that don't record correctly, usually appearing as purple edges in a photo. Pincushioning: Maximum zoom also sometimes causes pincushioning, which is a distortion where the left and right edges of the photo appear stretched. Horizontal lines appear slightly curved toward the middle of the frame. Again, this problem usually is limited to beginner-level, inexpensive cameras with large zoom lenses. Slower shutter response time: When using the maximum zoom magnification, the shutter response time sometimes slows, which may cause blurry photos. You also could miss a spontaneous photo because of the slower shutter response. It simply takes the digital camera longer to focus on the image at the maximum zoom setting, which explains the slower shutter response time. Such problems are magnified when shooting at maximum zoom in low light. Requires a tripod: Using a long zoom lens can cause increased camera shake. Some digital cameras can correct this problem through image stabilization. You also can use a tripod to prevent blurry photos from camera shake. When highlighting the specifications of their products, some manufacturers will combine the digital zoom and optical zoom measurements, allowing them to showcase a large combined zoom number on the front of the box. You, however, need to look only at the optical zoom number, which might be listed in a corner on the back of the box, along with a host of other specification numbers. You might have to do a little searching to find the optical zoom measurement of a particular model. In the case of digital camera zoom lenses, it pays to read the fine print. Understand the zoom lens, and you'll make the most of your digital camera purchase.